28% of Russians want return of monarchy. Putin as Czar? ← 100 years ago, Russia’s last #Czar abdicated. Will Putin be named Czar? Despite more than 70 years of Communist propaganda (1917-1991), a growing number of Russians support a restoration of monarchy in their country. In recent years, a growing number of Russian politicians and members of the Russian Orthodox Church have expressed their support for a restoration. 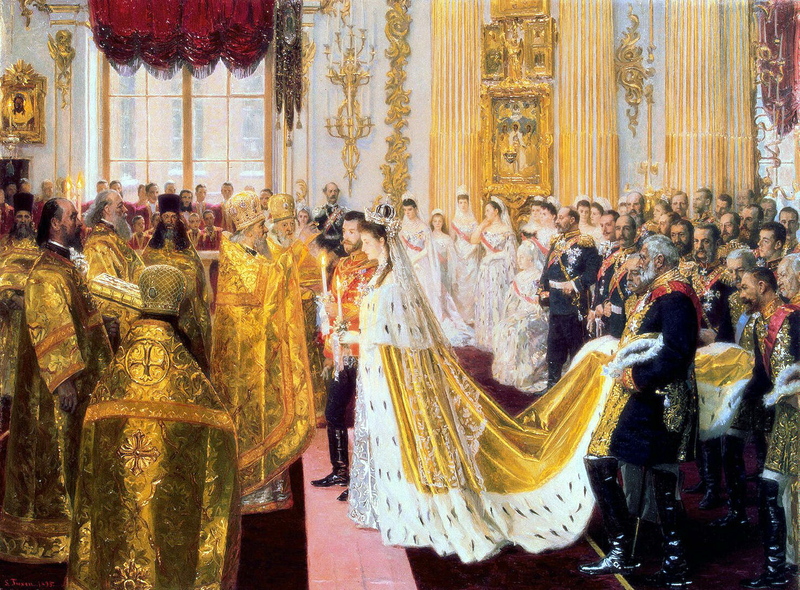 Further, numerous predictions of Russian Orthodox prophets have foreseen a return to monarchy in Russia’s future. According to a recent research poll conducted by the All-Russian Center for the Study of Public Opinion, 28% of Russians support the restoration of monarchy in their country, an increase of 18% since a similar poll was conducted after the fall of the Soviet Union in the early 1990s. The recent poll shows a majority of the supporters of a restoration reside in Moscow and St. Petersburg (37%). In addition, among respondents aged 18 to 34 years, 68% were not against the monarchy. At the same time, however, some two-thirds of Russians oppose the revival of Russian monarchy, believing that its historical time has passed. The overwhelming majority of respondents (82%) believe the current republican form of government is more suitable. Smaller towns and villages approved of the current form slightly more, at 84-86%. In specifically choosing between monarchy and a republic, only 11% inclined towards monarchy. Were the monarchy to be restored, respondents favoured looking to public figures and politicians to fill the role (13%), rather than to a Romanov descendant (6%). 70% say that the revival of the monarchy in Russia at this time would be impossible and incorrect. According to the poll, among those who oppose a restoration of monarchy in Russia, most are supporters of the Communist party (74%) and elderly Russians (70%). Electorates of the Liberal Democratic Party of Russia are more in favour of the monarchy (36%), and younger, 45-59 year-olds (31%). The poll was conducted March 9-10, with 1,600 people in 138 locations in 46 regions and republics responding. The margin of error is 3.4%.